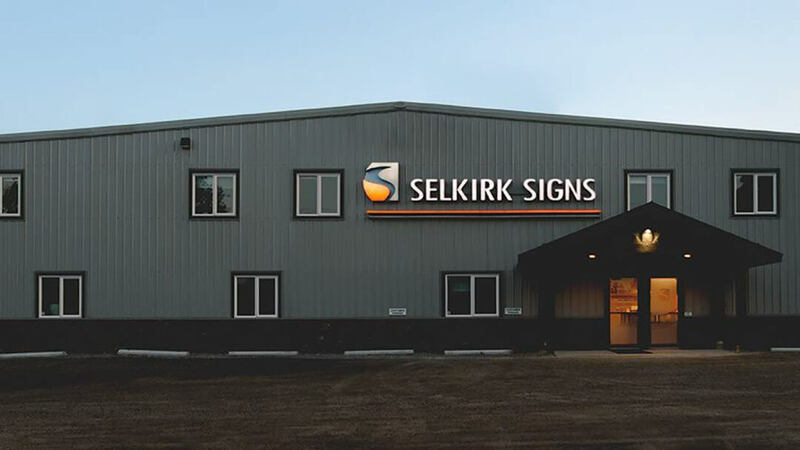 Selkirk Signs is an innovative sign company located in Cranbrook, British Columbia, Canada. With an outdated Precix 13100 router dating back to 1999, management decided it was time to look at other CNC equipment options. They researched CNC routers online, discovered the AXYZ website and contacted Brad Moberg, a sales manager in the Calgary office. “Brad was absolutely fantastic and knowledgeable. He did a couple demos for us prior to us buying the machine,” said James Blanchard, CNC router operator and draftsman at Selkirk Signs. “We were trying to cut acrylic and wanted to get a clear polished edge on it for one of our clients. Brad tried to walk me through it on our Precix machine, and it wasn’t working properly.” Instead Selkirk Signs sent some plastic to AXYZ, which Brad cut for them. Not only was Selkirk Signs amazed at how crystal-clear the edges were on the finished piece, but so was the client that originally requested the job. After visiting the Calgary office of AXYZ, Selkirk Signs purchased a custom-built AXYZ 6010 Series CNC router to help them cut aluminum, ACM (aluminum composite) and plastic (acrylic and polycarbonate). AXYZ then sent a technician to Selkirk Signs’ office to help them set up and learn how to use the 6010. “It has been running smoothly ever since and the software was relatively straightforward,” said Blanchard. Selkirk Signs experienced immediate benefits from its new machine. “Our cut times have dropped dramatically,” said Blanchard. “The time materials spend on the table is significantly less. Our product is 10 times better. There is no down-time. With the old belt-driven machine, we had errors and cuts that weren’t as precise as they are with the AXYZ.” He also appreciates the ease of the machine, thanks to the automatic tool changer and 7 spindles. “We are now doing a job in two hours that used to sit on the router table for 14 to 15 hours. It’s a huge cost savings,” he reports. The new router also allowed Selkirk Signs to expand to cutting PVC (sintra) and MDF. “We are able to produce products with the precision and quality that our customers want,” said Blanchard. Selkirk Signs takes advantages of the ongoing support offered by AXYZ. They purchased the Gold Membership package, which means AXYZ sends a technician out twice a year to do preventative maintenance. The company appreciates the superior customer service and relationships they have with Brad and other AXYZ employees. “It’s easy when I’m always talking to the same people for any issue. They know who I am and I know who they are. And they know where I’m coming from,” said Blanchard. Additionally, Selkirk Signs staff members attend AXYZ’s open houses. According to Blanchard, every time he attends an open house he comes away new ideas. “We gained new abilities that we brought back to the shop and implemented immediately and they increase what we can product at our shop,” he says. For more information on Selkirk Signs, please visit www.selkirksigns.com.